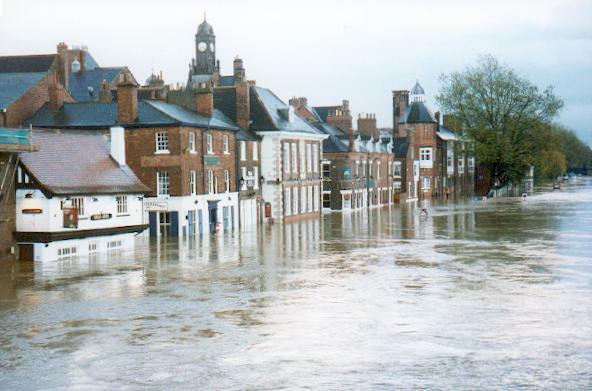 Flooding in the UK is a big problem for individuals and business owners. The annual cost of damage caused by flooding regularly stands in the billions of pounds yet many firms, especially smaller ones, continue to be unprepared to meet the dangers posed by it. We take a look at what you, as a retailer, can do to stay safe. Protect yourself, your team, your business and its assets from extreme weather events. Flooding doesn’t just cause physical damage. It goes deeper than that. A great source of stress, anxiety and worry, flooding can cause long-lasting effects. For retailers, especially smaller ones, flooding can be catastrophic, destroying stock and gutting stores and forcing you to close for days, weeks, maybe months as you set about the arduous task of rebuilding - sometimes from scratch. So what can you do to be prepared? A starting point is to review your business insurance. You might have shop insurance for your business and think that means you’re covered, but you could be wrong. The devil is in the detail so take some time to go over your existing policy with a toothcomb. If you know you operate in a flood-risk area you should also consider specific flood insurance. “Being flooded is horribly traumatic, not just because of the immediate impact but because it can take so long to recover from,” said Mark Shepherd, head of property at the Association of British Insurers. The next step is to consider waterproofing your premises. This is the process of ‘enveloping’ your shop in a range of water-resistant and waterproof materials and buying flood products to use if a flood happens. While it might not completely, 100 per cent waterproof your premises, it could be a worthwhile investment, especially if you keep a lot of stock and other assets on-site and operate in a flood-prone area. While many businesses have a few sandbags in reserve in the event of a flood, these are not thought to be as effective as flood products. Contact your local council to see if they offer anything for free, like sandbags, although note these are not as effective as once thought. You may wish to download our Business Flooding Toolkit which contains a flooding checklist, a sample flood plan, and advice on how to prepare and restore your business if a flood occurs. If you’re in immediate danger of being flooded, phone Floodline on 0345 988 1188. This is a 24-hour service. There are flood resilience grants worth up to £5,000 from the government, although be aware you might not be eligible. Find out more about them here. Don’t get caught out. As is seen nearly every year, when a flood hits, it hits hard. A flood could destroy your business, so take it seriously and do everything you can to protect yourself, others and your premises.